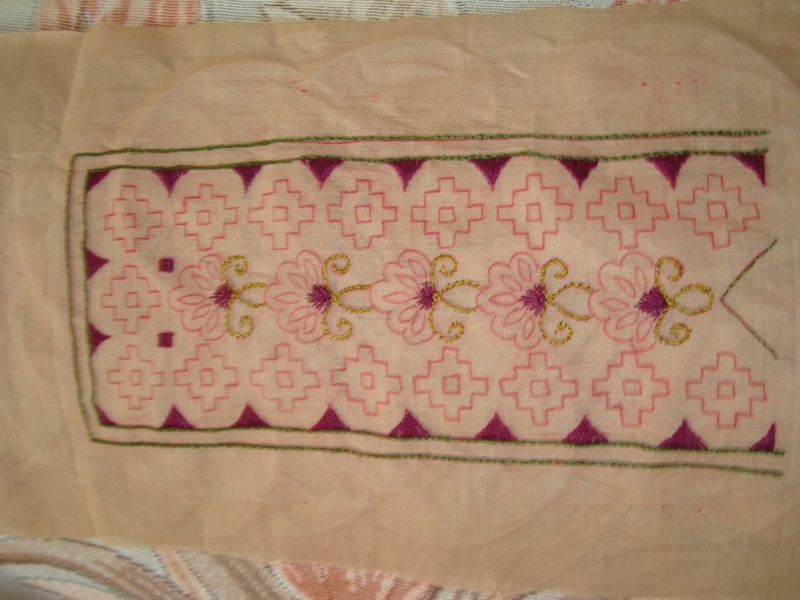 I bought this mangalagiri cotton fabric with zari border in double colour[antique violet and light brown] colour. I was not getting design ideas . though I loved the colour, it was looking very dull, only bright thing was the zari border. 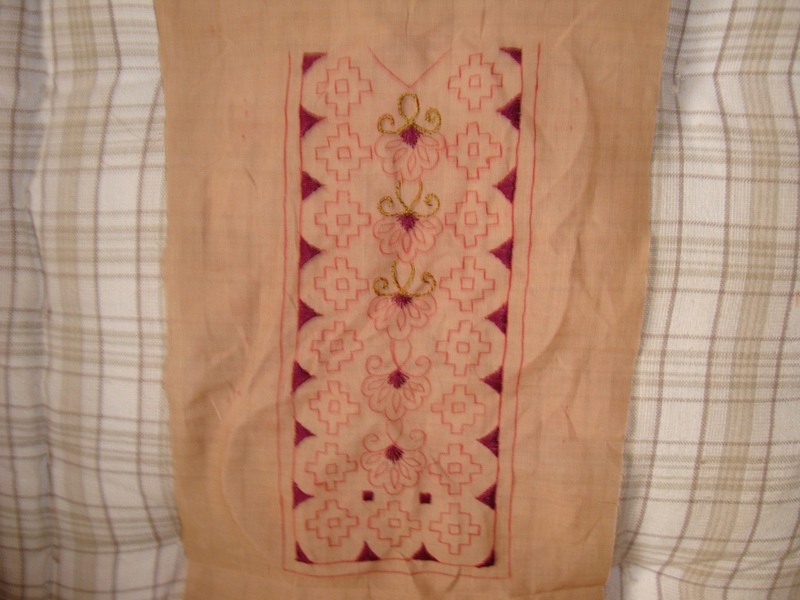 One day, shopping in Fab India, found this light brown Patiala salwar and thought of matching it with the mangalagiri fabric. then came a design idea for yoke, which I decided to do in light brown fabric. this is the background for this tunic, now for the details of the work done on yoke. 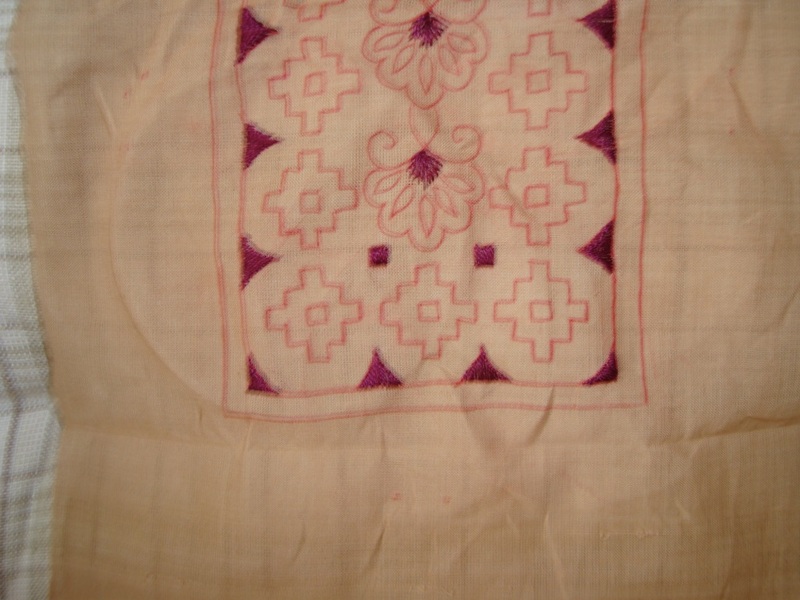 The pattern had florals in the centre, with geometrical motif on both sides with a small border. Deep pink was the first thread colour I used on this yoke. Satin stitch , straight stitches were worked with this thread. Stem stitches were worked with this thread.